Welcome to this month’s Blogorail Peach Loop. Today we are exploring regional theme parks. Lots of fun can be found locally! Discounts: be sure to check the website and social media for deals and discounts. If you live in the area, look for discounts at local retail establishments for admission discounts – it just might be worth running in to a local grocery store for the admission savings. Hotels: there are lots of options fro accommodations in the area surrounding Cedar Point. If you’re looking to stay closer to the action, there are options right on Cedar Point’s property for you to choose. Staying at a Cedar Point resort can give you special benefits such as discount admission or early park admission so it might be worth the additional cost if you’re an early riser. Water Park: you can splash during your day when you need a break from the thrill rides. Parking: parking is super easy. You’ll have to pay to park and there are two options – regular and preferred. On a normal Disney vacation, we wouldn’t pay for the preferred parking. 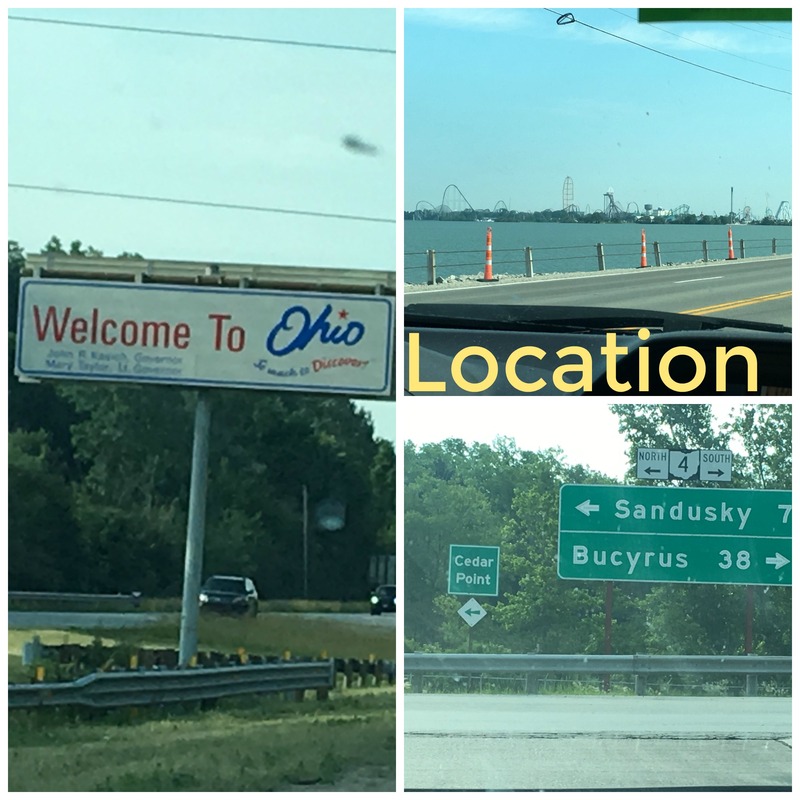 During our visit to Cedar Point, we paid the additional money for preferred parking and we so appreciated it as we walked out of the closed park at the end of the night and it was just a few steps to our car. 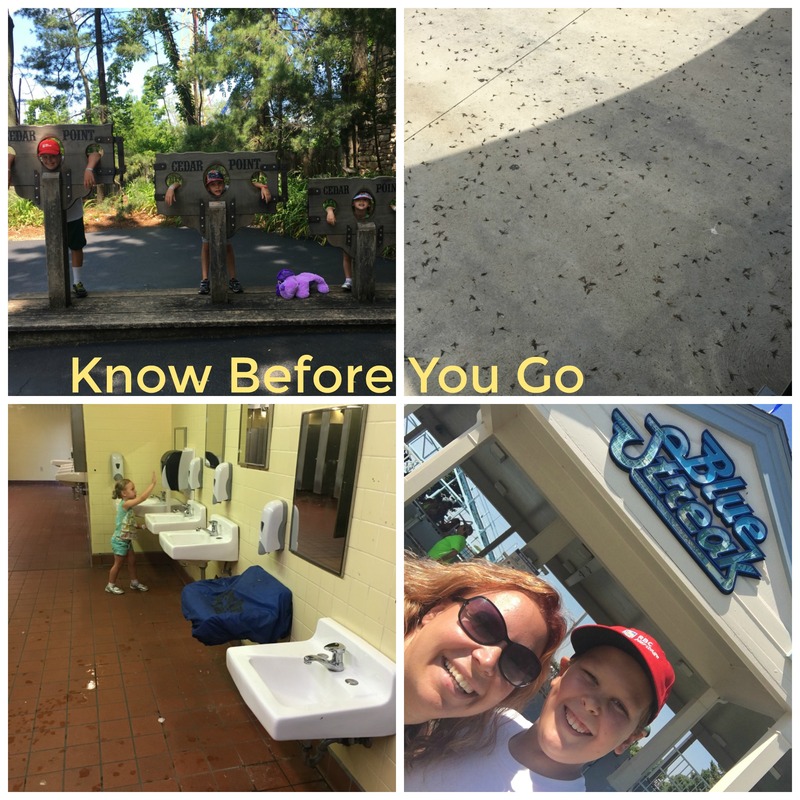 What’s Allowed: be sure to review the frequently asked questions so you’re aware of what’s allowed in the picnic area and in the actual park itself. Getting Around: be prepared for a LOT of walking. While Cedar Point isn’t a huge theme park, it’s not completely flat either and that can sneak up on you after walking for a few hours. Take a break as needed – there are plenty of benches and seating areas throughout the park which was nice. 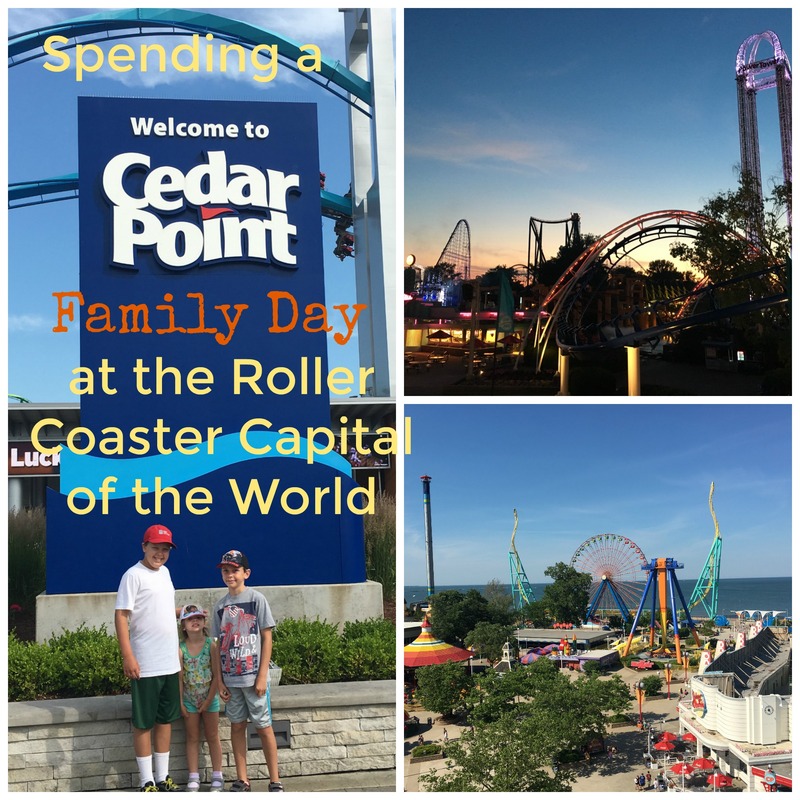 Growing up in Michigan, Cedar Point wasn’t a far drive for us and many of the upper grades took a field trip there during some point in their school career in addition to trips outside of school with family and friends. I hadn’t been many times growing up but was so excited to take my kids somewhere I’d gone as a child myself and share that experience with them. Google Maps or your GPS will be able to get you to Cedar Point but there are also lots of signs and the route is well marked. 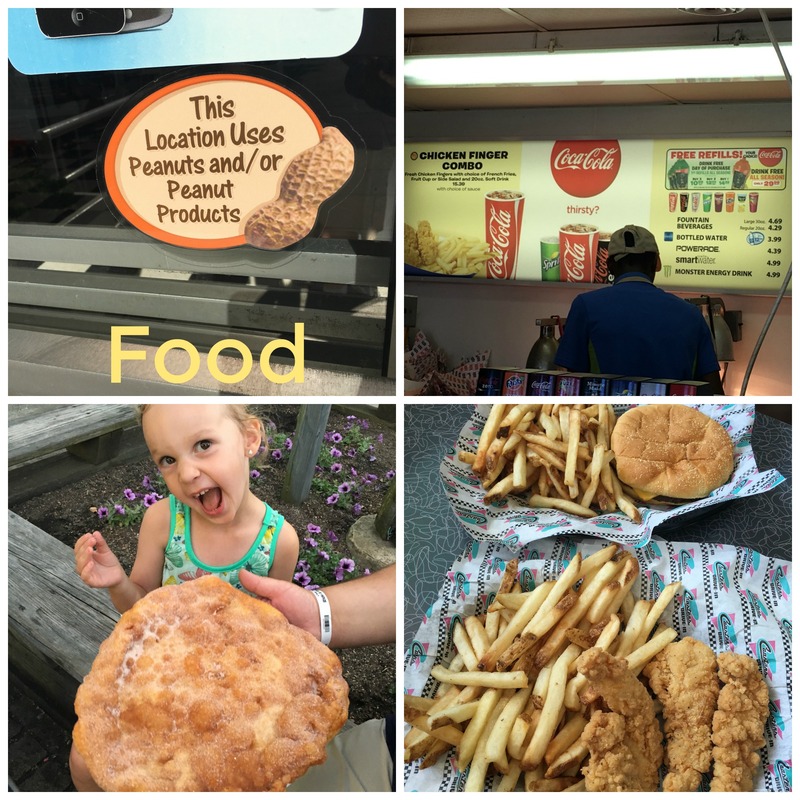 Unlike larger theme parks like Walt Disney World, Cedar Point has options inside the park that you’ll also find outside the park. Many times having those choices can help picky eaters find something familiar to them so there won’t be as much fussing or arguing about eating. Of course there’s the standard options for both food and snack options. If you plan on purchasing several meals throughout the day, be sure to check out the different dining plan options that most appeal to your group to help keep your trip affordable. There is a covered picnic area where you can leave your cooler of outside food to enjoy when you leave the park and reenter once you’ve finished eating but outside food isn’t allowed in the park. I love only having to stop once to see what rides and attractions the kids can participate in. As some theme parks, the attendant at each attraction is responsible for making that determination which can lead to sad faces when kids are able to ride some things and not others because of differing opinions. As you enter the park, there’s an area for the kids to be measured and a wrist band is given to them and that’s it for the day! Each attraction is labeled with the requirements and restrictions for the attraction and you know before you enter the line if height will be something to keep you off the attraction. Some things were designated for tiny people and it was funny to see my boys upset that they couldn’t ride something because they were too tall or trying to talk their little sister into doing something because they wanted to do it. Because of those limitations, it was easier for part of the day to “divide and conquer”. I took the boys on the bigger rides while their dad stayed with our daughter so she could take in all the “kid” rides. She loved having several options throughout the park that were just for her. 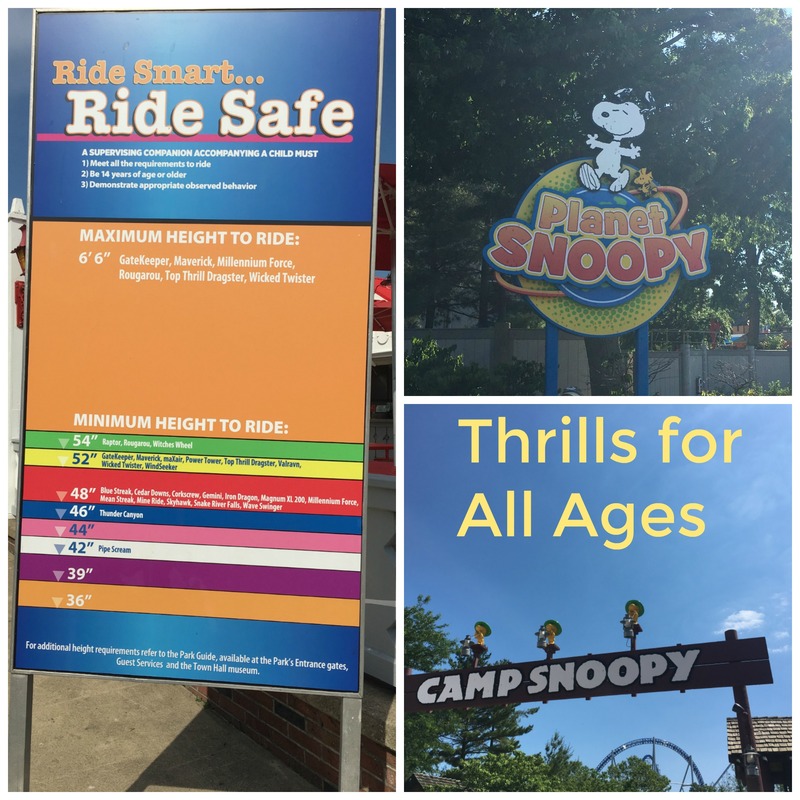 At Cedar Point there’s no shortage of thrills! It’s not called America’s Roller Coast for nothing. Be prepared to not be able to talk for a couple of days from all the screaming you’ll be doing while you’re dropping, tumbling, flipping, and speeding thought lots of different attractions. Lots of the focus of the park are the thrill rides but even if those aren’t your thing, you’ll still be able to find some other attractions to enjoy during your visit. One thing to note is many attractions require you to put yourself onto the ride instead of waiting for the ride attendant to let you know where you’ll be riding on the attraction. This gives you a bit more freedom to choose where you’d like to ride and it took away a lot of stress (especially at the beginning of the day) for my boys who are more “middle of the road” riders than front or back riders. Many of the attractions that required you to buckle in for safety had a demo/test seat at the entrance to the attraction so if you were worried about not being able to fit or be comfortable for some reason you were able to find that out before waiting in line then learning that. 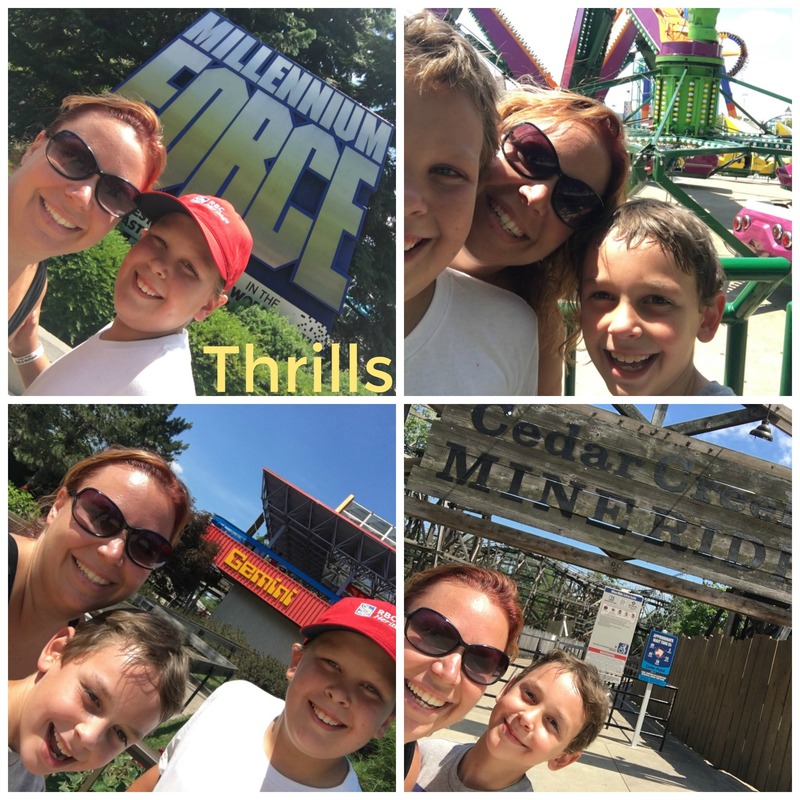 I was able to enjoy all the attractions with my kids but bigger people would have a challenging time on some of the attractions. My kiddos are huge Snoopy fans. 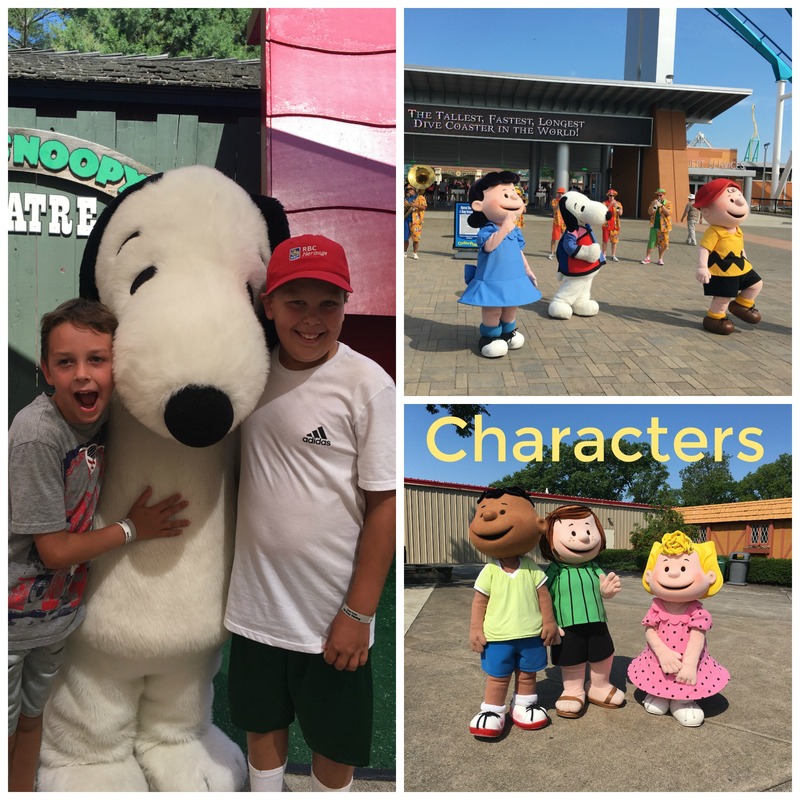 They were already excited about going to Cedar Point but as soon as they found out they could meet Snoopy too they were totally sold on the visit. We found characters outside the front gates before you actually entered the park as well as inside the gates and at Snoopy’s very own theater. Lines were always super short but there weren’t photographers around so be ready with your own camera. Even after the sun goes down, Cedar Point has a lot to offer. Attractions are a completely different experience in the dark than they are during the daylight so make sure to visit them multiple times. We went to Cedar Point once about five years ago and I’d love to go back! 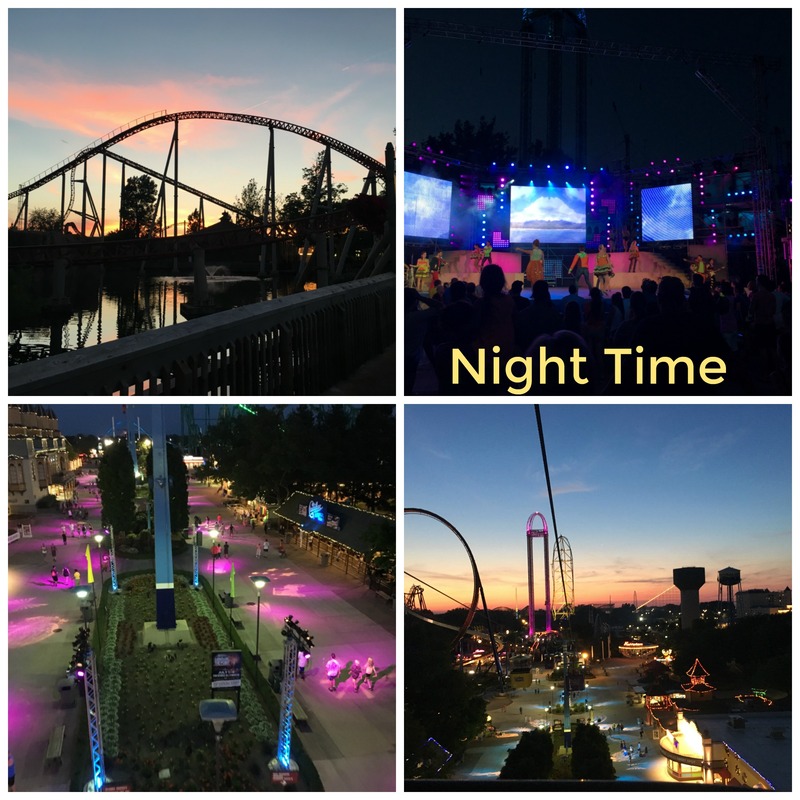 Amazing roller coasters and a great park. I think a road trip is in order once my kids are a bit older and we will hit up Cedar Point. I am pinning this for future reference, great info! I grew up outside of Pittsburgh, so I remember going to Cedar Point as a kid but that was so long ago! Love seeing all the new pictures and the changes that the park has been through since I’ve been there.